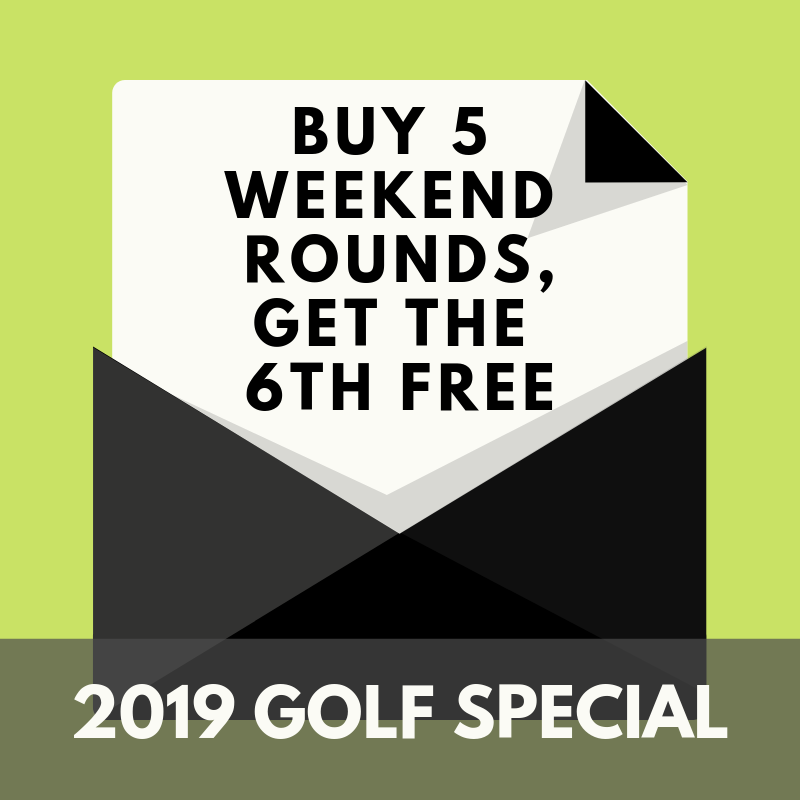 Buy 5 2019 Rounds, get the 6th FREE! Valid for (6) 2019 rounds booked Saturday – Sunday. Includes cart and tax.